Below is Ken Hinman’s introduction to the 2004 report, Taking the Bait: Are America’s Fisheries Out-competing Predators for their Prey? 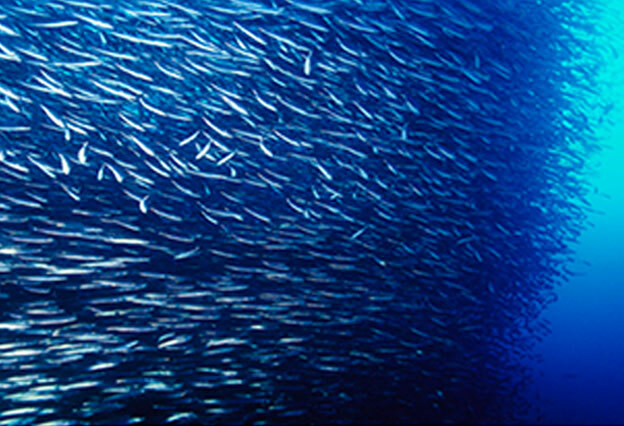 Since publication of that report, researched and written by Executive Director Pam Lyons Gromen, Wild Oceans (then NCMC) has helped put forage fish conservation at the center of today’s national ocean agenda. 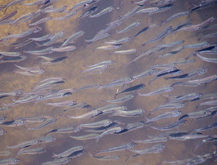 We’ve made significant changes in the way important prey species are managed, according to the Blueprint we outlined in Taking the Bait, with new protections for Atlantic herring being only the most recent. There’s a Chinese saying that nature is not composed of things, but of relations. Likewise, an ecosystem is not made up of species, but of the relationships among them. Ecosystem-based management, simply put, takes those relationships into account. 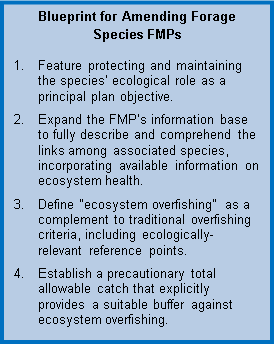 In the seven years since the release of “Ecosystem-Based Fishery Management,” little has been done to explicitly account for predator/prey relationships in management decisions. The hesitancy to move forward on these issues is variously explained as the result of waiting for additional science, or funding, or new legal mandates. Unfortunately, the current state of our oceans demands that we take precautionary action now. 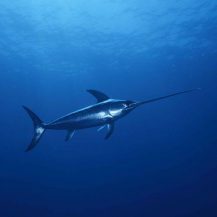 In this report, we focus on conservation of prey fish, which are the fuel for the ocean food web. As America’s fisheries, quite literally, take the bait, traditional single-species approaches are unable to tell us whether our policies are meeting the forage needs of predators, or if our fisheries are out-competing them for their prey. The National Coalition for Marine Conservation [now Wild Oceans] hopes that by offering a blueprint for protecting forage species; by providing a comprehensive analysis of existing plans, focusing on what’s important and what’s missing; and by recommending constructive changes, we as a nation can better understand and appreciate the role these species play in the ecosystem and guard it accordingly – before we unravel the food web that supports a vital living resource for the American people.